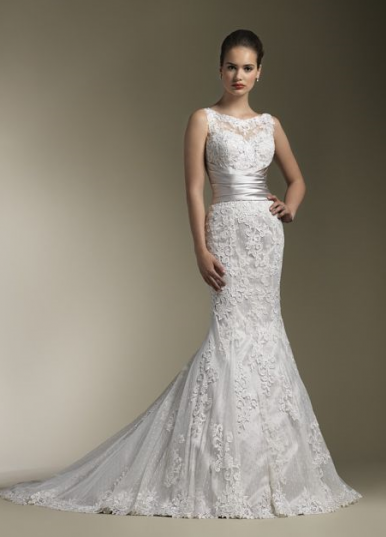 Style 8596 by Justin Alexander is a beautiful vintage style lace dress for brides wanting a pretty and romantic look. Detail: Sheer venice lace sabrina neckline accents this sweetheart neckline with pleated regal satin cummerbund at waist, textured lace trumpet skirt and chapel length train. Buttons over back zipper.